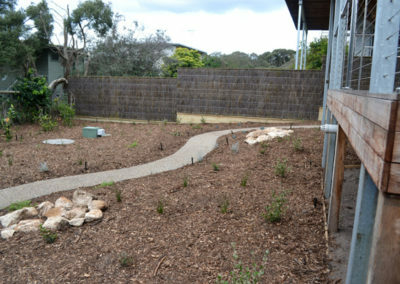 Creative, cost-effective fencing design and installation by Mornington Peninsula Landscapers, Paul McQuillan are unique and affordable. 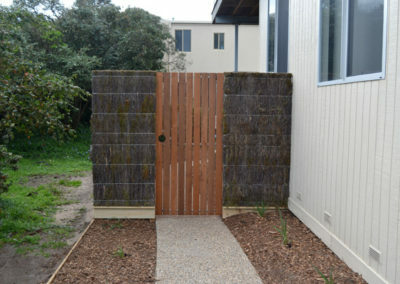 Making your fencing a bit different from the rest is totally doable! We create attractive customisable fencing designs with materials like Merbau, brush panels, cypress and limestone being just a few. Your properties fencing really makes a difference to how you and visitors feel about your home – from the outside and in. 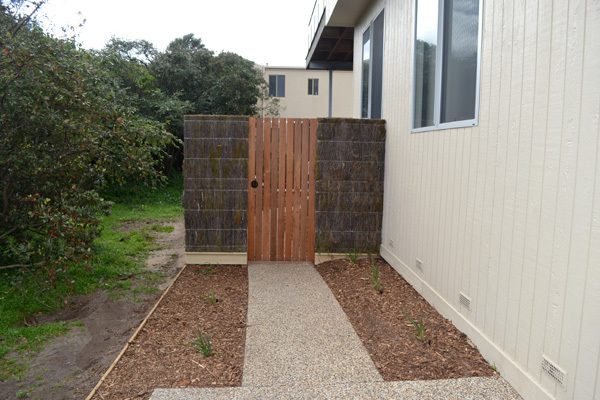 As experienced fencing contractors and garden landscapers in Mornington Peninsula, we design fences that provide security and privacy but also enhance your property and landscape. Popular choices in timber and slat fencing are merbau and cyprus.The warm colour of Merbau makes it adaptable to many landscape designs and an alternative fencing solution that is very affordable. Naturally blending in with the elements, brush fencing is also extremely low-maintenance, easily repairable and hard to graffiti! Looking great both outside and inside, brush fencing can also be contoured to shape with changing curves, heights and angles. A complete fencing solution can be created in natural stone for example in limestone, bluestone or sandstone. Or use stone in combination with other fencing materials for contrast and variation. From Baxter to Blairgowrie, houses are all different. So why do so many fences look the same? 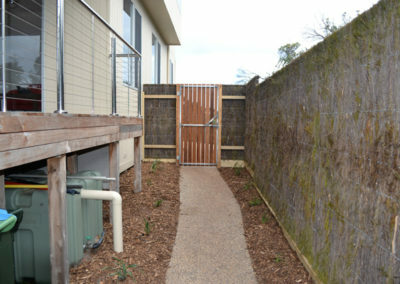 Fencing is an integral part of your landscape design and can be a great feature! Paul McQuillan Landscapes can mix and match fencing materials and designs to beautifully blend in with your style, your garden and your budget. 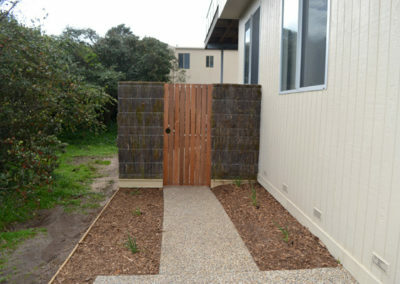 Your fence could be all one type of material or broken up with other materials. For example, brush fencing with stone piers for a landscaped entry.